Praise God brethren “Mukama waitu asiimwe abaishemwe”. 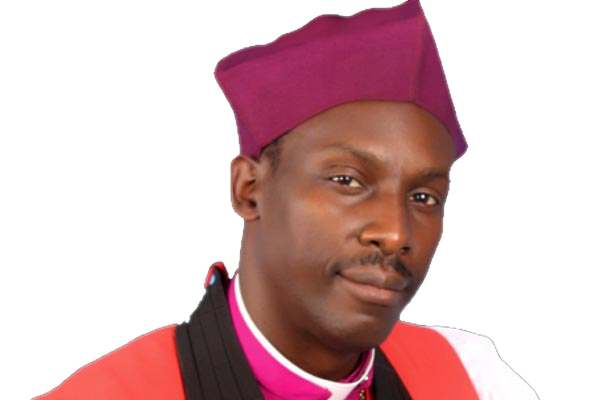 I take this opportunity to welcome you to Ankole Diocese. It has been seven years of ministry in Ankole Diocese since my enthronement in 2010. Me and my wife Maama Dr.Alice Mwesigwa and the entire family would like to appreciate the staff of Ankole Diocese headed by the Diocesan Secretary for a commendable job they are doing. I would also like to extend my appreciation to all the Archdeacons, clergy, lay readers, lay Canons, Emyomyo and everyone that has helped us in all aspects. My appreciations also go to my advisors Canon George Mugisha, Canon Lydia Butagira, Dr.Andrew Ainomugisha and Canon Jane Kariisa. Head of Laity Canon George Kaganzi , his deputy Canon Lydia Butagira and the Chancellor of the Diocese Canon Amb.Hon.Francis Butagira are all appreciated. All the political leaders and different religious leaders that have partnered with the diocese in various projects are appreciated very much. My sincere thanks goes to our Christians (Ankole Diocese, Kampala, Jinja, Entebbe) and other areas like Kenya and America (Facebook and twitter) for the support, love and care they have accorded to the Diocese.